Wheelchair bound decorated Marine veteran Jack Kelley from Greenfield, Mass., fought in Vietnam. He is now fighting again for his country. He says he is fighting for the soul of the middle class. 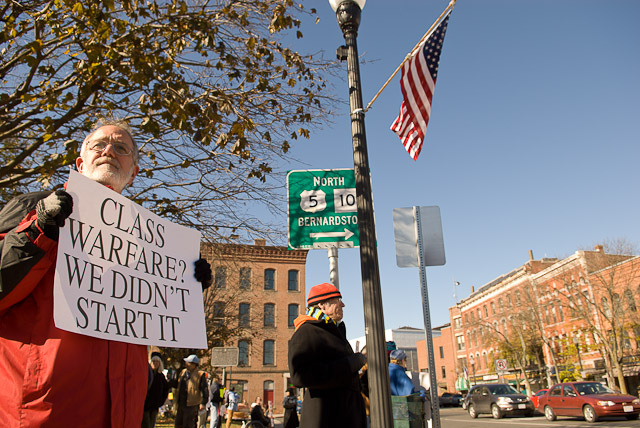 He feels the middle class has been destroyed by rapacious banking practices and corporate money machinations. He is fighting to get money out of politics. "I am part of a grassroots movement that is actually doing something, that has changed the dialog from debt reduction to jobs. I am in no way a spokesman or a leader. I am a grunt." He was joined by others demonstrating in solidarity with Occupy Wall Street. I tried to capture the brick building former industrial feel of Greenfield, Mass. The protestors lined Main Street near the town green. 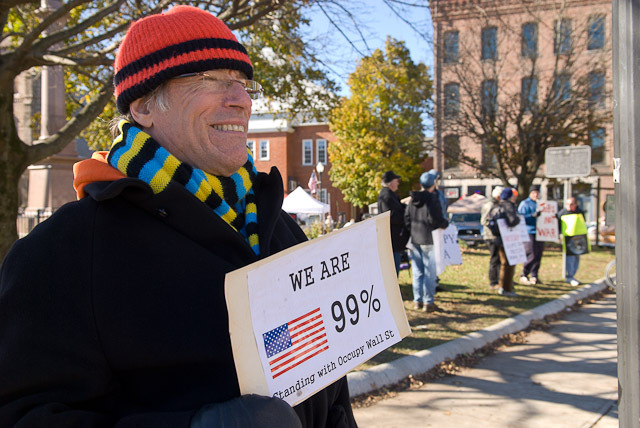 We Are 99% - Standing with Occupy Wall St. In the center of the town green is a Civil War Memorial. At the top is an eagle, combating snakes in its nest. 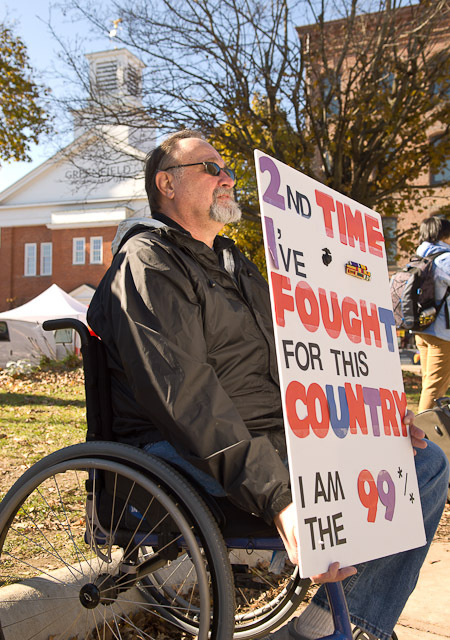 I especially like these Occupy photos as they show ordinary, middle-class people, not just young college students. Thanks for checking in, Anita.